Two giants of the mobile phone industry, Apple and Google, have agreed to drop all current patent infringement lawsuits between them, they said Friday. “Apple and Google have also agreed to work together in some areas of patent reform,” the companies said in a joint statement. They have not agreed to cross-license each other’s patents, however. Apple filed a lawsuit with the U.S. International Trade Commission in 2010 against Motorola Mobility, which was subsequently acquired by Google. Google has since agreed to sell the smartphone business to Lenovo, but the deal has not yet closed. Many of the lawsuits Apple has filed against other smartphone makers, including Samsung, involve Google’s Android operating system. This deal announced Friday does not affect the Apple-Samsung lawsuit, however. Earlier this month a California jury ruled Samsung should pay Apple $119 million for infringing several Apple patents related to smartphones and tablet PCs. 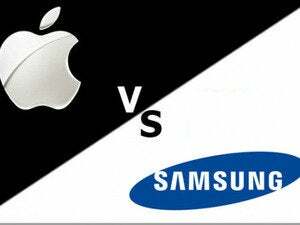 Samsung was also ordered to pay Apple $930 million in an earlier case, which Samsung has appealed. As sales of smartphones began to rise, competition between phone makers reached unprecedented levels and companies turned to the courts as a way to gain an advantage over competitors. However, despite millions of dollars spent in lawyers’ fees and thousands of hours of court time, the results have been mixed. Few vendors have managed to get injunctions against popular smartphones that affected sales in any significant way. Indeed, Motorola Mobility had been hoping to get the iPhone banned from sale in the U.S. on its allegations of patent infringement. The judge overseeing the Apple v. Samsung case, Judge Lucy Koh, has asked the companies to settle several times and earlier this year ordered the chief executives of each company to sit down and attempt to hammer out a deal. That ended in failure. Updated at 11:40 p.m. PT with more information throughout.